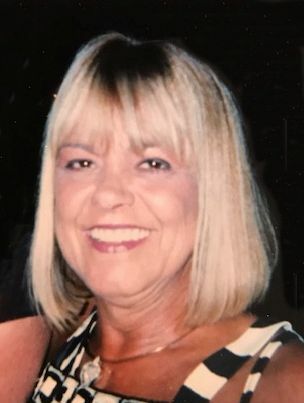 TUFFO, Patrice M. “Pat” (Devlin), of Braintree, formerly of Dorchester, passed away unexpectedly, after a long illness on January 28, 2019, at the age of 66. Born in Boston, Pat grew up in Dorchester and graduated from Boston Trade School in Boston. Patrice was a passionate New England Patriots fan, an excellent cook and enjoyed spending time at the beach. A devoted wife, mother, daughter and grandmother, Patrice will be sorely missed by all those who were blessed to have known her. She was the wife of the late Thomas F. Tuffo. Loving mother of Robert Tuffo of Dedham, Jason Tuffo of CO, Lisa Devlin of NY and Lisa Wigfall of Randolph. Dear daughter of Christine Wambolt of Bridgewater and the late Hugh R. Devlin. Devoted sister of Kevin Devlin of Cape Cod, Hugh F. Devlin of NM, Donna Fitzgerald of Avon and the late Cheryl Mantia and Mark Devlin. Cherished “Nana” to Justin and Jordan. Also survived by many nieces, nephews, cousins and loving friends. Relatives and friends are respectfully invited to attend Memorial Visiting Hours on Tuesday, February 5th from 4:00 – 8:00 PM in the Cartwright-Venuti Funeral Home, 845 Washington St., Braintree. Burial will be private. Should friends desire, memorial contributions may be made in her name to the National Kidney Foundation, 209 W Central St, Natick, MA 01760.